and the roots of righteous people cannot be moved. ...but the roots of righteous people produce ⌊fruit⌋. One person enjoys good things as a result of his speaking ability. Every hurricane season, trees are uprooted, seashores are eroded, and homes get flooded. Such is life in the Carribean, Florida, and all along the Gulf Coast. In SE Asia, typhoon season brings similar scenes. Not only are trees uprooted, many homes are completely washed away with storm surge and flash floods. Though not unusual, it's still devastating for families to lose homes, livelihoods, and even, for some, the lives of loved ones. Whether trees or homes or people's lives, a solid foundation is vital for enduring powerful storms. Roots are the foundation of a plant or tree and provide a network for sustenance essential for life. These two verses referring to the "roots of the righteous" speak of two outcomes—they "cannot be moved" and they "produce fruit." Stability and life. What's the key to these "roots of the righteous?" Their roots are in solid ground and soil that's nutrient-rich with sufficient water. 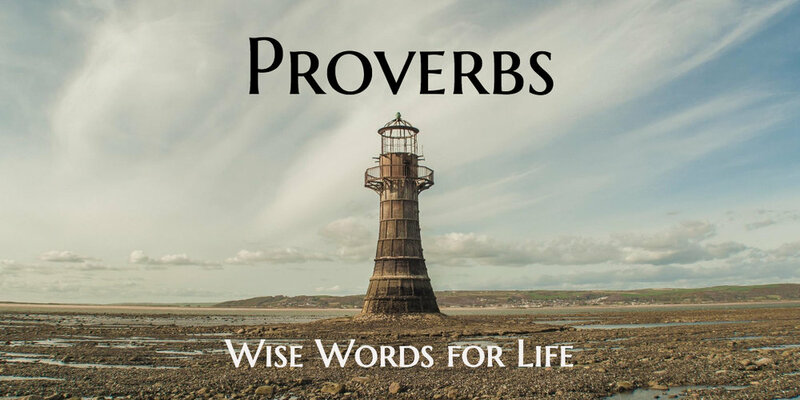 An immediate reference to the truth of God can be drawn from the larger context of Proverbs and the figurative lesson in Psalm 1:1-3. One person enjoys good things as a result of his speaking ability. Another is paid according to what his hands have accomplished. Families and cultures can produce tremendous pressure on a person to conform to what's most likely to lead to a successful future. But many times it's at the cost of a person's identity and integrity—their internal essence—their spirit. We're all wired differently. We all have different gifts and skills. Many people are not suited for college but do well with practical training in what they do best and countless university degrees never factor into a person's life work. Each of us needs to stay grounded in who we are as God created us to be. Some people are good with words, both learning and teaching in an academic environment, or in other ways of expressing thoughts and ideas through words. Others are good with their hands and actions, they build or create things skillfully and are content with doing things well. How can a person know for sure what they are best suited to do? When each of us is well-grounded in our relationship with the Creator and Sustainer of our life—the One who knows us best—it's much easier to know what we were created to do best. The important thing is being rooted in a personal relationship with the Lord and living our life guided by His truth and wisdom. If you want to know what your purpose in life is—what you were created to do well—then allow the roots of your life to grow deep in a well-grounded relationship with God. Pray for discernment and wisdom. Ask God to either clarify or give you fresh insight into what He's equipped you to do mentally and physically—according to what fits you best.